Selling sales leads can be a fruitful endeavor for many different types of companies. Whether you run the marketing operations for an insurance business and need an outlet for excess lead volume or operate a marketing firm and are looking for an additional revenue stream, learning how to sell leads could be an extremely valuable skill. You might even want to start a lead generation company that generates all of its revenue from selling leads. Learning how to sell leads gives you not only an avenue to advance your business, but it also gives you the opportunity to assist consumers in many high-demand markets. If any of these scenarios apply to you, then you are in the right place. We have taught hundreds of companies how to sell leads and would be delighted to help you too. If you are going to sell leads, you have to start by establishing exactly what your product will be. This includes selecting one or more lead verticals to operate in. If you have not already decided, our lead verticals guide is a great place to start. Once you have decided on one or more lead verticals, you need to establish the exact lead fields that will make up your lead type. These are the fields that you will capture on your lead form and provide to your lead buyers with the contact information of every lead. If you are not sure which fields to include in your lead type, there are several standard fields for most lead types that we would be happy to share with you. Just send us a request. Additionally, you may need to finalize your lead fields after adding a few lead buyers (see step 3) because some buyers require specific fields for the leads they purchase. After you establish your lead verticals and the lead fields to capture, you need to decide what your exact lead offering will be. This means that you have to decide if you plan on selling leads in “packages” (e.g. 100 leads/month) or if you want to invoice your buyers for each individual lead they purchased in the previous week or month. You also have to decide whether you will sell leads exclusively (one buyer per lead), non-exclusively (multiple buyers per lead) or both and what pricing structure you will use for each. Every lead seller is a little different, so if you are not exactly sure how to handle any of these options, let us know. We can help you understand what processes are most common in specific lead verticals and what techniques our clients have found the most success with. Once you have built a framework for your lead offering, its time to get the leads that you plan on selling. There are two main strategies for acquiring leads. Generating Leads: This is the most common lead acquisition strategy and the option most marketing experts choose. However, this post will not dig into any specific lead generation strategies. All lead generators have different strengths and opportunities so a lead generation strategy that works for one business may not be as effective for another. For a better overview on generating leads, start here. Buying Leads: Many lead sellers resort to buying leads to supply or supplement their lead flow. Buying leads in real-time from another lead seller does not require you to maintain your own marketing efforts, but instead allows you to use your network of buyers to find a service provider for each lead you purchase. However, it is important to remember that if you are purchasing leads only to resell them, it is in everyone’s best interest that you provide additional value to the process. Many lead buyers utilize a call center to reach out to their purchased leads and verify their information and update any conflicting information before selling the lead to a buyer. This is known as call center verification. Other companies utilize a call center to contact the lead and a lead buyer at the same time, introduce the lead to the buyer and transfer the live call to the lead buyer. Each of these options provides additional value to the process, making your service stronger, improving the experience for the lead and ensuring that you are not simply a middleman that can be easily replaced. Getting Leads - What To Avoid: It is also important to qualify exactly what we mean by getting leads. We are not talking about scraping the internet or databases for email addresses, purchasing cold email lists or anything other than real-time lead acquisition. If you are working with old data or lead details that were not recently provided by the leads themselves in exchange for a specific service they requested, then we cannot help you. Lead selling requires fresh, targeted, real-time leads. Once you have established your lead offering and determined exactly how you will acquire your leads, your next step is to assemble a network of buyers to purchase your leads. This is one of the most important and most difficult steps when building your lead selling process. If you plan on running a long-term lead selling business, be prepared to dedicate much of your up-front and ongoing efforts to finding and working with your lead buyers. End Service/Retail Lead Buyers: When selling leads, the greatest clients are end service providers (also known as retail buyers). These are the buyers that plan on reaching out to and making a sales pitch to the leads themselves. Because they are the end service providers, retail buyers are the highest paying lead buyers on the market, but they are oftentimes limited geographically or have set lead needs that sometimes limit the leads you can sell to them. In the insurance verticals, these buyers are insurance agents. In the home improvement industry, these buyers are contractors. It is important to know exactly who you are hoping to sell leads to before starting your buyer research. Lead Aggregators/Wholesale Buyers: Lead aggregators (also known as wholesale buyers) purchase leads with the intention of re-selling those leads to their own network of buyers. Although lead aggregators pay less than end service/retail lead buyers, they can still be very valuable clients. They are typically easier to find and begin working relationships with and can provide a wider lead coverage than your retail buyers alone can. For a full write-up on working with lead aggregators, check out this post. What about a lead buying/selling network? There is no standard lead network or exchange that allows you to "plug into" and sell leads through. Although many companies have tried to organize this, there are several reasons that this typically fails. The first is that lead networks take a cut of every lead that is bought and sold. This cuts into the already small profit margins that exist in the lead industry. The second large issue with communal lead networks or lead exchanges is lead ownership. Most lead exchanges are built by lead generation companies or lead sellers. This means that the very data that you are pushing through the network is extremely valuable (even vital) to the lead network provider. In essence, anyone posting leads into a lead exchange is willingly providing their leads to what amounts to a competitor, simply hoping the exchange alerts them of a sale and compensate them accordingly. This is typically the reason lead networks fail. 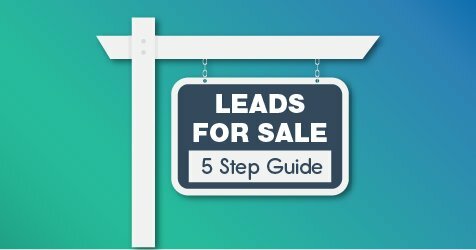 This completely strips the lead company of any of their selling power and forces them to rely on an external system to get the best possible price for each lead. For this very reason, the biggest and best lead companies build their own buyer networks even if it starts with just a handful of different buyers. Learn more about lead generation vs lead exchange here. Step four of our how to sell leads guide requires you to select the lead distribution logic you will utilize. Real-time lead distribution used to be fairly standardized, but today new distribution logic gives you several options that allow you to maximize your profits and optimize your lead flow. To start, you can build filter sets for every one of your clients that specifies not only the lead fields that each buyer accepts, but even the time of day/day of week they accept leads, price exceptions and more. These filter sets allow you to build custom business rules that match real-time leads to the appropriate lead buyer(s). Furthermore, sophisticated lead distribution systems allow you to select the distribution logic that is utilized for every lead that matches to more than one buyer. Let’s say you generate an auto insurance lead that matches to five different buyers. Who gets the lead and how much is it sold for? There is no right answer to this question, but rather, there are many lead distribution logic options that allow you to distribute your leads exactly how you want and in the way that matches every lead to the best possible buyer. Read our lead distribution logic guide to learn more. Finally, you need to establish and configure the lead purchasing options that you give to your clients. When a client purchases a lead, how can they receive this lead? Will you automatically email the lead to the client, post the lead into the client’s CRM or place the lead in a buyer portal to be retrieved at the buyer’s discretion? While most buyers provide posting specifications that allow you to automatically post every lead into their CRM or Lead Management System, you need to identify exactly what happens once a client purchases a lead. Once your client buys a lead, how will you charge them? It is also important to set up a structured billing agreement that specifies whether you are charging for leads in real-time, sending an invoice at the end of every week or month or even launching automated re-billing on a time or trigger basis. This post outlined the specific steps you need to take in order to set up a lead selling process, but it did not specify exactly how to take these steps. It might not be completely obvious how to purchase leads in real-time, how to implement specific lead distribution logic or how to enable specific billing options for your buyers. That is because these processes and options require a system that handles these real-time decisions and management automatically. Gone are the days that lead companies can manage and deliver sales leads using Excel spreadsheets. Real-time lead distribution is vital and lead generation is harder than ever. In order to succeed, you need to let an automated system handle all of the back-office tasks while you focus on finding leads and finding lead buyers. In order to run a successful lead selling business, lead companies need to either build or purchase a lead distribution system to handle these tasks. While we have worked with many companies that have attempted to build their own proprietary lead distribution systems, we have also quickly taught them how much cheaper and more efficient it is to use a 3rd party system such as boberdoo. Not only does a 3rd party system save you from hiring an IT staff to build and maintain a system, but companies such as boberdoo bring you the knowledge of nearly two decades in the lead generation industry. In boberdoo’s case, this knowledge and experience have led to new features and improvements constantly added to the boberdoo lead distribution system that gives every lead seller not only the best piece of lead distribution technology, but also additional opportunities to maximize their lead revenue and optimize their lead flow. If you are interested in setting up a successful, automated lead selling business, we can help. Just ask the hundreds of lead companies that have launched or improved their businesses by making a single call to us. Want to see boberdoo in action? Fill out the form below or give us a call at 800-776-5646 to get started.